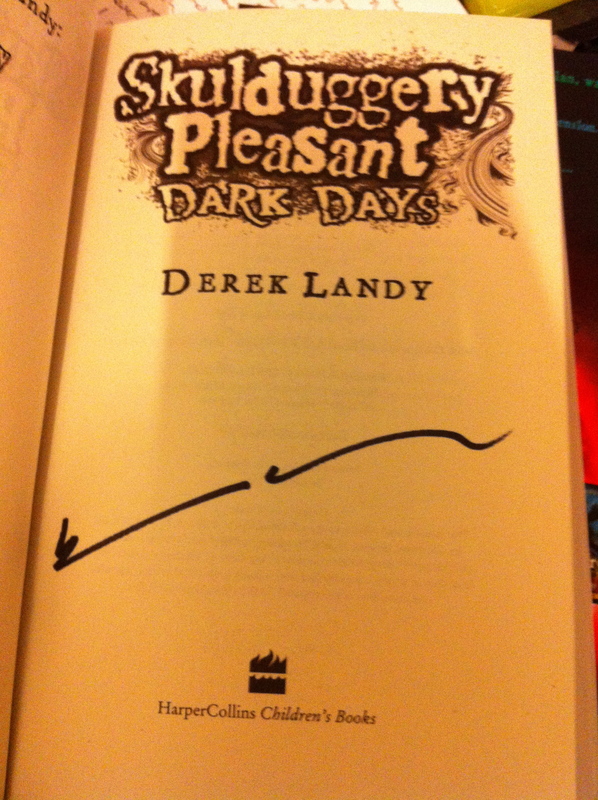 Finally, after a uploading problem I can now post the final part of the Derek Landy Q & A. Sorry it took so long guys but enjoy. So moving right along, this was a great question about magic. 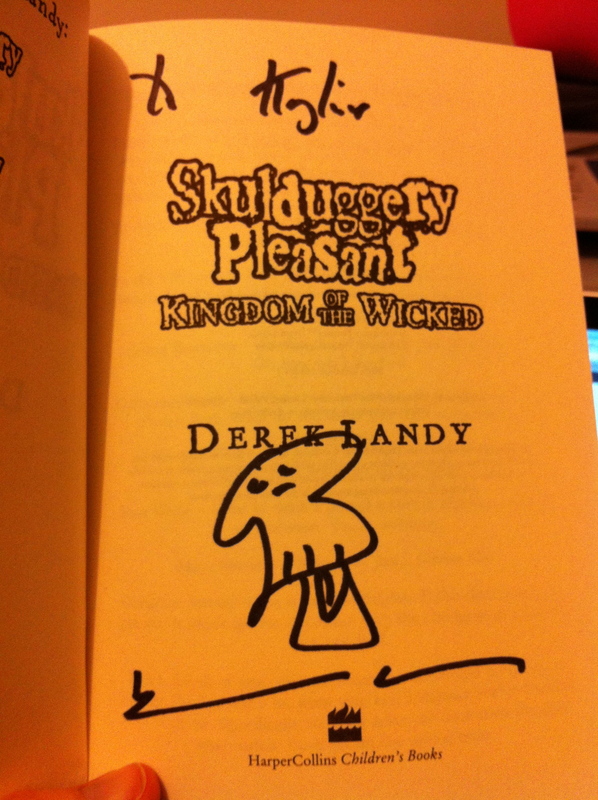 Also don’t forget to leave a comment if you want to go into the draw to win the signed book. Competition closes Aug 31 2012. Okay so I was going post all the Landy stuff today but it may take a while to piece it together so in the mean time I will say it was awesome. Right from the beginning he engaged his audience. He was great fun to listen to. He began by talking a little about himself and his life. He also told some funny stories about his pets before moving into a Q&A session. The questions the audience asked were interesting and his answers insightful. He addressed such things as character development and a possible Skulduggery movie. As my footage is still importing I will post instead the information for the book giveaway. 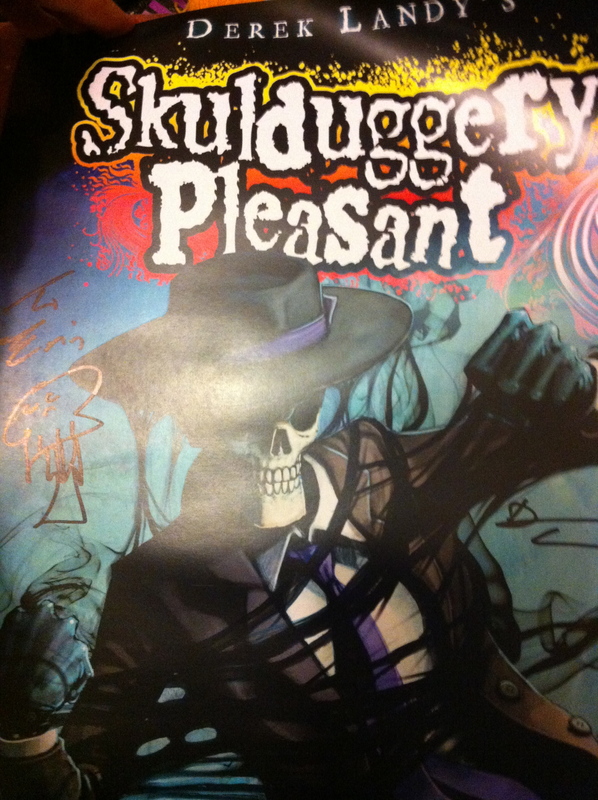 All I want you to do is post a comment that tells me who your favourite Skulduggery character is and why. Winner will get this book. Now you have to come and visit me sometime babe. 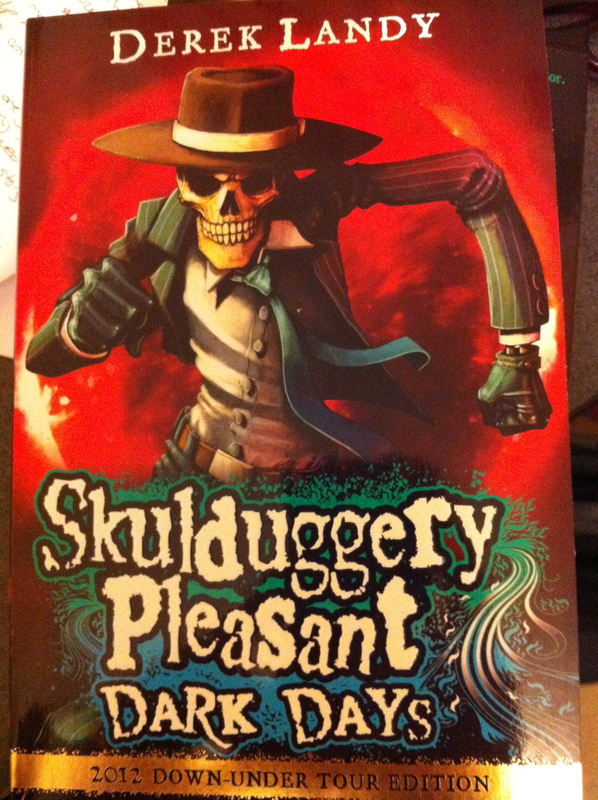 To all you wonderful Skulduggery fans I will hopefully manage to get the footage sorted for tomorrows upload.